A huge entry has been received for the 16-race program which kicks off the 2017 Ulster & Irish Motorcycle Road Racing season. Ryan Farquhar’s KMR Team new signing Hudson Kennaugh will debut at Bishopscourt Racing Circuit. His wealth of experience from his homeland South Africa and the British Superbike Championship, he must be a serious contender for the Enkalon Trophy. 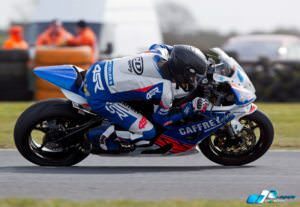 Hudson will ride in Superbike and Supertwins classes. The Enkalon Trophy is sponsored again by Cornmarket Insurance Services, Belfast and we are grateful for their continued support. It’s not often you get a quality entry with quantity but we surely do this year, Cross channel competitors that will be in the mix with Hudson include IOM Dan Kneen , Donald MacFadyen and Kris Duncan from Scotland, our local competitors William Dunlop, Cody Nally, Alistair Kirk, Luke Johnston, Charles Stuart, Jason Lynn. Brian McCormack has a late entry and is on the reserve list hoping to make the grid. The two legs of the Superbike races double up for the Enkalon Trophy, the first leg is due off approx. 1.30pm. A new trophy winner is certain this year with no previous winners entered. A full set of support races make up the other 7 race classes. 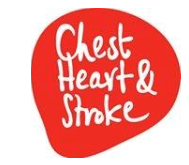 The official charity for the event will once again be Chest Heart & Stroke. The event is supported by Charles Hurst Hyundai Dundonald, Walter Bell Oil Fired Boilers Carrickfergus, Slemish Water & Coolers. Practice at 9am and racing from 11am. We just need some fair weather and the racing will be HOT for sure! The race circuit will be open from Friday evening so anyone wishing to camp overnight. All for the Saturday £10 per adult admission charge and under 16yrs accompanied foc. Onsite facilities and catering are available. Lismore Rd, Downpatrick BT30 7EY.